OMG! Isn’t it what everyone’s saying these days? Well, we’re talking about Cafe OMG (Oh My God). 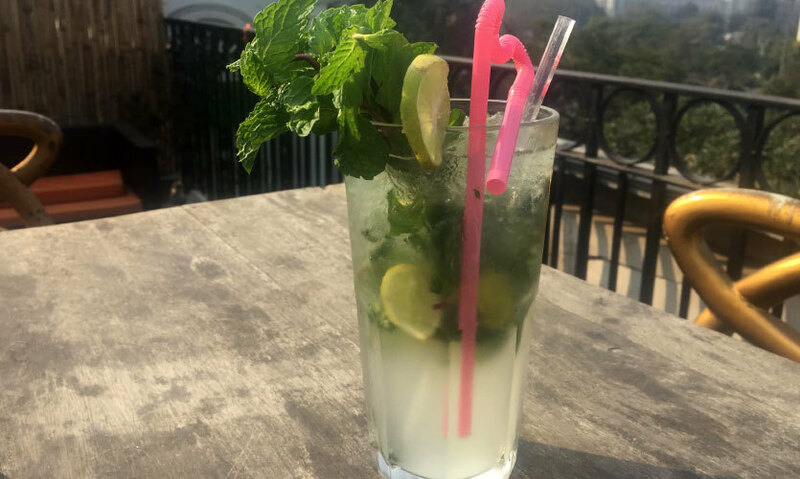 With classy and elegant interiors and the option of terrace seating, this café gives you a complete view of Connaught Place. And on a warm winter afternoon, the terrace seating makes your luncheon date even more delightful! Also, the live music nights with rooftop seating is all you need to make your night amazing. 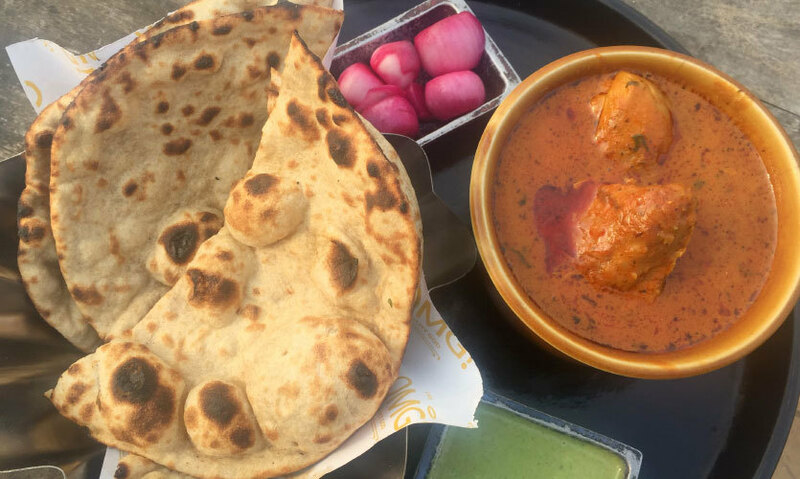 While they have a widespread menu, with dishes from Italian, Mexican and Chinese cuisines, they’ve kept the heart alive with North Indian dishes as well. And with live music and varied dishes, you’ll definitely enjoy this cafe. The service provided by the staff is best described as chop-chop to a T, and they happily welcome you with open arms. Here’s what we ordered that made us go OMG! Finely minced mutton, with the perfect blend of spices, was crispy on the outside and juicy on the inside. These kebabs are great appetizers for all the meat lovers out there. And it has an amazing smokey flavour to it, as they’re served on a metal plate with coal heating. 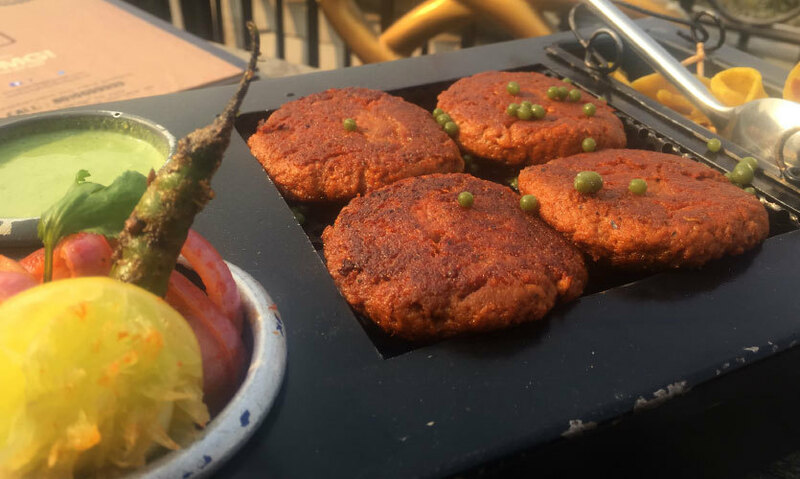 This flavour is what makes it better than the other galouti kebabs you might have tried. And serving it with mint chutney (yum!) cranked it up another notch! 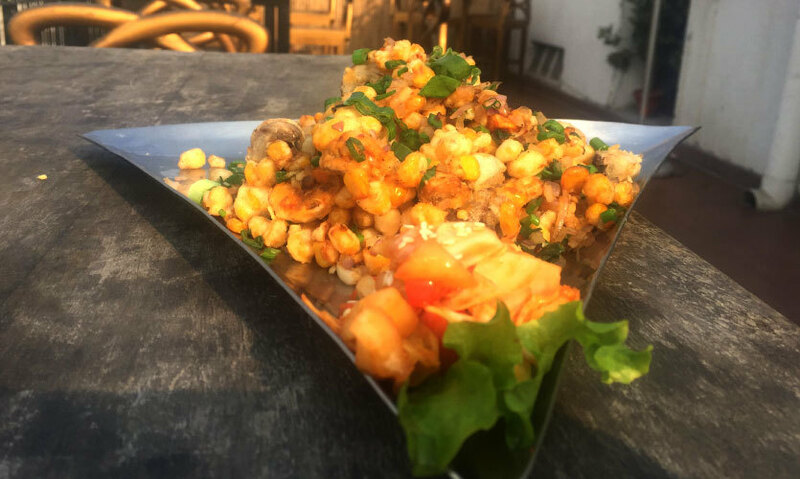 Corn and mushroom marinated in cornflour batter and fried evenly made it the crunchiest amalgam of the two underrated vegetables. With minimal spices, mainly salt, pepper and red chilli, this dish is light on your belly and nicely appetizes you for the next course of the meal! Paired with a sweet cabbage salad, it’s quite a dish indeed! After some salty and spicy appetizers, we moved to a universally-accepted refreshing drink - Virgin Mojito! With the perfect blend of mint, lemon and sugar syrup in perfect proportions with club soda made it the best thirst-quenching drink. Slurp slurp! Heading over to the main course, we chose from both the vegetarian and non vegetarian options on offer here. 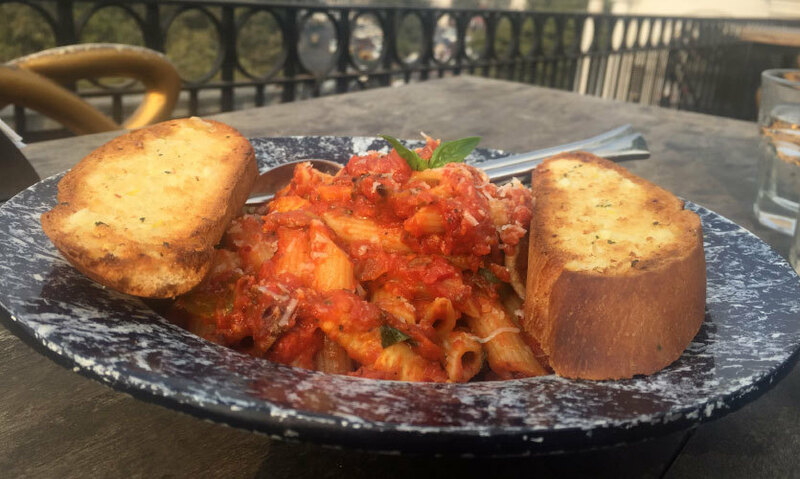 While some of us get fussy about the type of pasta we like, Cafe OMG has got you all sorted with their ‘Make Your Own Pasta’ option, with a choice of sauce, pasta and the add-on veggies and meat! Yay! Penne pasta in tangy arrabiata sauce with mushrooms, baby corn and capsicums is how we made our pasta. The veggies cooked perfectly in thick arrabiata sauce with oregano and chilli flakes made it even more delicious. Neither too spicy nor too bland, this pasta is best for people who like just-enough spice in their food! Succulent chicken cooked in tomato gravy, just like a nice home-made gravy, with the perfect blend of flavours is a must try for all the meat lovers! And it surely gave us the feel of home made curry with a prominent flavor of cardamom and black pepper. When served with crispy tandoori roti and mint chutney, it becomes a complete meal in itself. Now this one defo made us go OMG! With a perfect graham cracker crust and cream cheese topping, what we really liked was the berry compote! But our only disappointment lay in the cream cheese. What would describe it the best is the word doughy. Although we can overlook that, what with the berry compote being totally out of this world and all. So what’s the hold up guys? 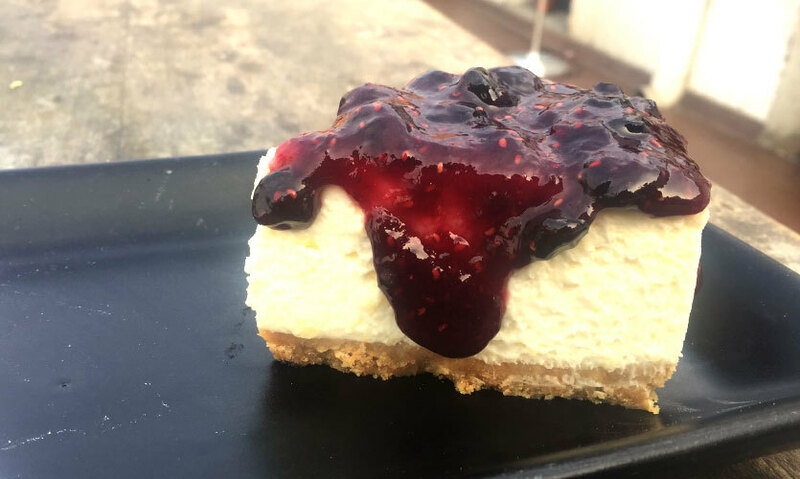 Head on to Oh My God in Connaught Place for some amazing food and live music!